SwedishDesign.org is a kind of bulletin board where editors makes selections of the content and present lists. The principle is that the lists grows organically by the users who manage their profiles themselves. Then, the readers can choose different selections, most viewed , editor ‘s pic, latest entries etc, or various design disciplines , regions, and a number of different categories. On May 16 , we launched the event for SwedishDesign.org on the Röhsska Museum when Richard Prime gave the visitors a guided tour around the site . With this site , we create a tool for an international audience seeking information on the Swedish design. Something that we discovered missing and are increasingly needed in our international work. The language is in English, since most of the people in the design world use English as the “working language”. The idea is that communication in English will give more impact internationally and users reach a broad audience. Based on the Swedishdesign.org the editor , either Svensk Form’ s own Mr. SwedishDesign.org – Richard Prime, or invited guest editors , international organizations, media and contacts. The editor presents selections , newsletters and phenomena in contemporary Swedish design, architecture and design, a prerequisite for impact. 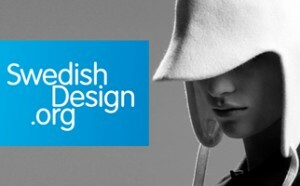 This will be another channel for increasing knowledge of Swedish design. A contemporary complement to the other exhibitions, awards and publications in Svensk Form´s other activities. Those who register on swedishdesign.org becomes a part of the Swedish design history when the database is saved every year for the future. The website is developed in collaboration with the The Centre for Business History (Centrum för Näringslivshistoria), with generous funding from the Ragnar and Torsten Söderberg foundations.